These conditions are more common than you’d want to believe. 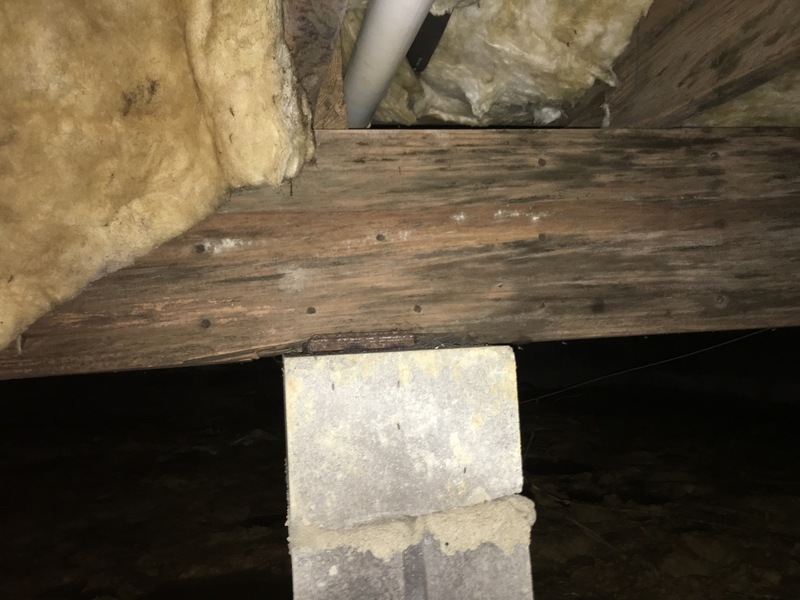 The pooling water on the ground under the house, elevated moisture content in the wood joists, and the sagging insulation are some signs of a sick crawlspace. 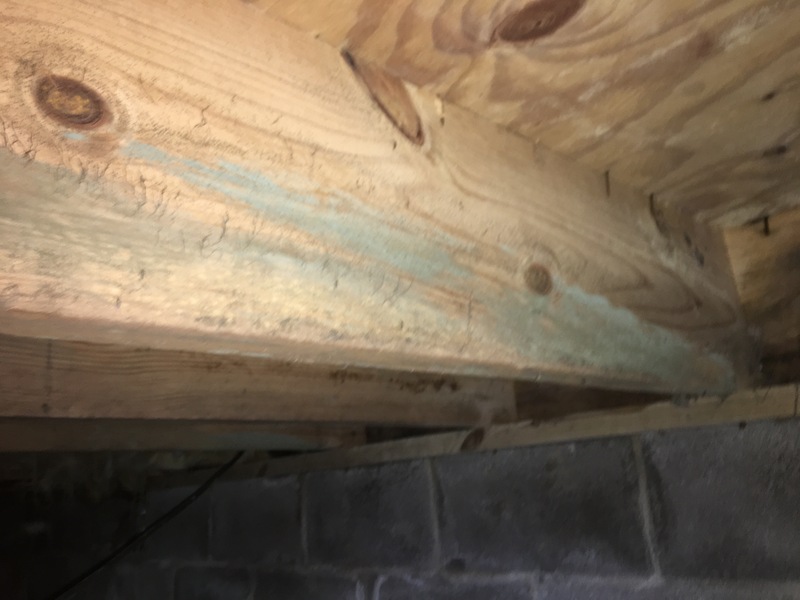 The conditions allow for some significant structural damage over time and must be corrected in order to mitigate some potentially costly damage. Downspouts that dump against the foundation are a major contributor to the first issue. The water will choose the path of least resistance and end up under the house. Missing or damaged vapor barriers can also be a contributor. Depending on the moisture content in the soil, a missing barrier introduces a lot of water thru evaporation. Plumbing leaks in a crawl offer go undetected. 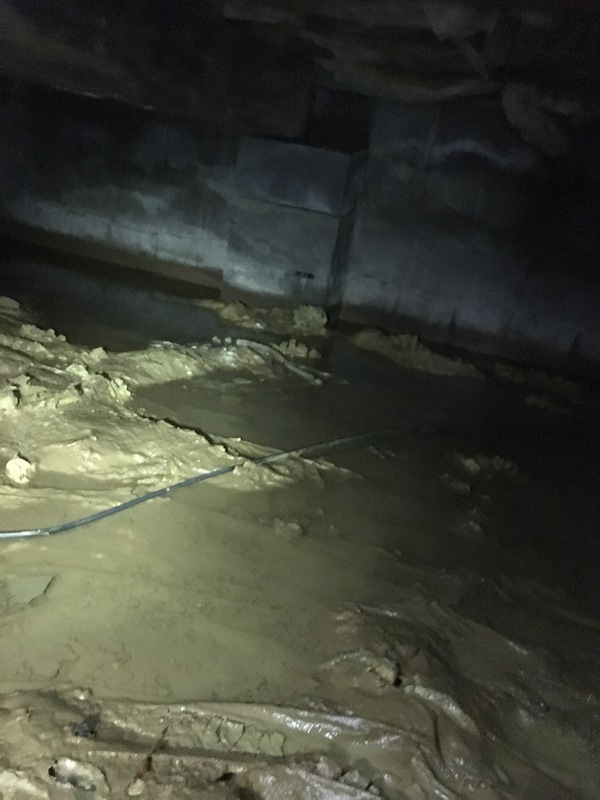 Depending on the severity, a lot of water can sit in the crawlspace and this can go on for a while. Poor venting can cause issues that are more difficult to identify. 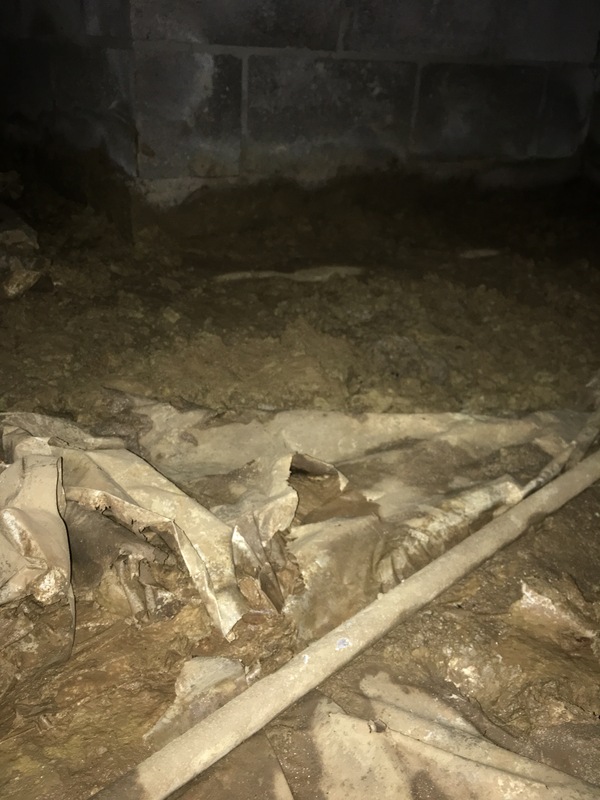 Many times I’ll exit a crawlspace durning the summer months and my back will be wet. 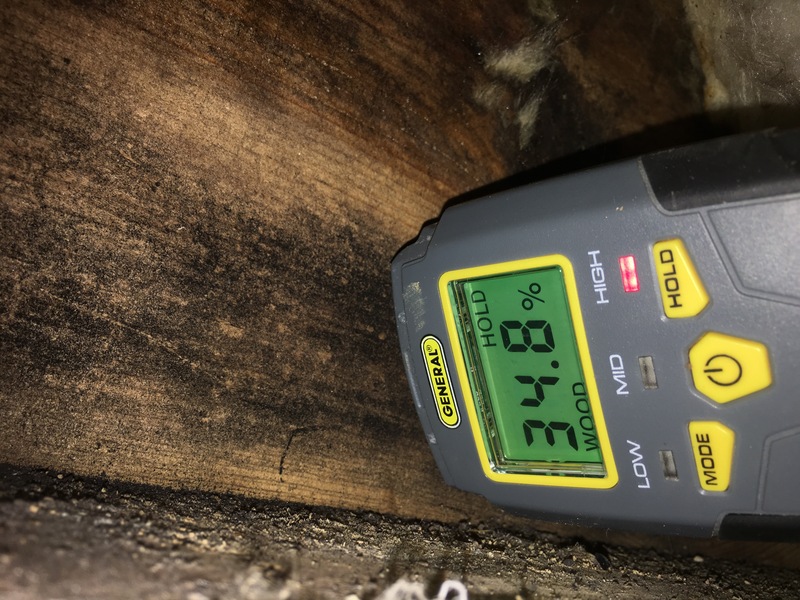 This is caused by the hot humid air being pulled into the cool crawlspace where it condenses on the floor joists and insulation. This, over time, can cause many issues like rotting wood. Here is a great article that explains better what is taking place and the problems that can occur.